Could consensus be reached on a new Spokane jail in 2019? Geiger Corrections Center — a former military barracks near the airport — began housing inmates in 1997. In Spokane County, the debate over replacing the two regional jails almost seems as old as the aging facilities themselves. The towering county jail in Spokane was built in 1986 and overcrowded with inmates within 10 years, while Geiger Corrections Center — a former military barracks near the airport — began housing the overflow inmates in 1997. As early as 2006, local elected officials were discussing building a replacement jail. 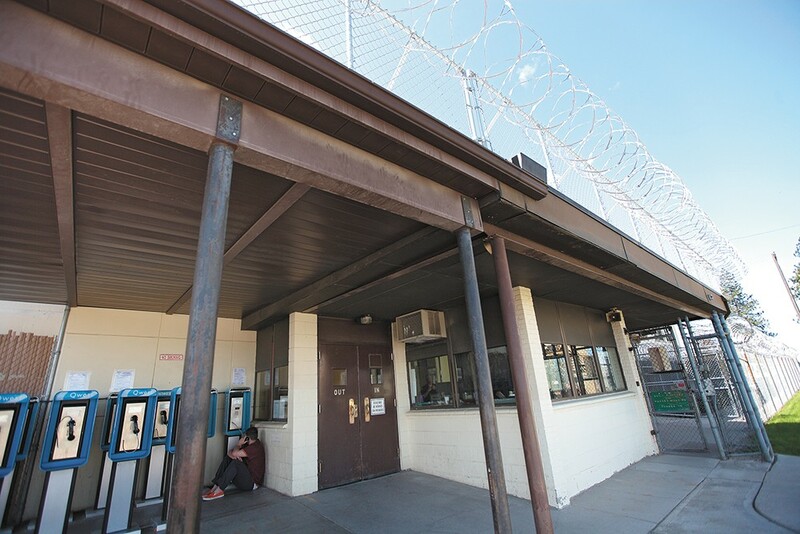 Later, in 2011, the Spokane County Board of Commissioners pushed a bond measure to finance a new correctional facility, only to have the effort flounder. Eight years and a whole lot of talk later, no new jails have been built. Now, some local officials say there is new momentum to get a concrete proposal drawn up. Stakeholders in the local criminal justice system have started meeting as a workgroup to develop plans to replace the county jail — with the potential goal of getting a bond measure put before voters in the fall of this year. But even with the supposed breakthrough, some are skeptical that agreement can be reached in a debate that has stalled repeatedly over the course of 10 or so years. "The can has been kicked down the road so long over the years that we can't kick the can any more," County Commissioner Al French tells the Inlander. "It [the county jail] is a functionally obsolescent building and we need to look at replacing it." In theory, the workgroup will come up with a "philosophy" on who the county should actually be incarcerating by February. That regional vision will then inform designs, bed counts and cost estimates that the Facilities Committee of the Spokane Regional Law and Justice Council will eventually produce. After that, the council will explore potential financing options, including going to the voters for public funds later this year, according to French. However, French is cagey on what any future financing proposal will look like. "Whether it's going to require a ballot measure or funding it internally, we don't know yet," he says. "We'll make that decision once we know what it is that the cost looks like." County Commissioner Josh Kerns says he supports putting a bond measure before voters if the council eventually decides that more public financing is needed for a new jail. "Let's be honest, a large facility like this is probably going to come with a very large price tag," he says. "This decision should lie with the voters." Potentially asking the voters for money for a new jail seemingly has Spokane Mayor David Condon's support as well. "He will support the [Regional Law and Justice] Council's recommendations for new investments, if any," Marlene Feist, a city spokeswoman, says via email. As to the impetus behind this most recent attempt at tackling the jail issue, both French and Kerns say it is the natural next step in the county's ongoing criminal justice reform efforts. Ozzie Knezovich, the county sheriff and longtime proponent of building a new jail, chalks it up to pressure from voters on the issue. "There are people, on both sides of the political spectrum, that were resistant to a new facility that are now going, 'When are you going to build this new facility?'" he says. "The citizens want this to change and that's what's driving the boat here." Breean Beggs, a city councilman and participant in the workgroup, says that the commissioners are largely pushing the initiative single-handedly. "There are people who would like to move it forward, but they currently don't really have a majority of people with them," he says. "There's some people who say, 'Oh, there could be something on the ballot in the fall.' I don't know how that's going to happen," he adds. "It's going to be very challenging to get consensus." Beggs argues that the region should focus on fully funding programs and services identified in the Blueprint for Reform, a document produced in 2013 that recommended orchestrating a slew of alternative criminal justice programming — such as expanding pretrial services — before exploring constructing a new jail. "Before we spend significant money building something, we should implement all the programs you can do." Knezovich argues that the county needs both programming and more jail beds. "They keep talking diversion, but we don't have the resources," he says. "If you're not to build a robust programming arm, then you better build a bunch more beds." The original print version of this article was headlined "New Joint"